I see a lot of people asking questions on various forums regarding how to embellish fonts. 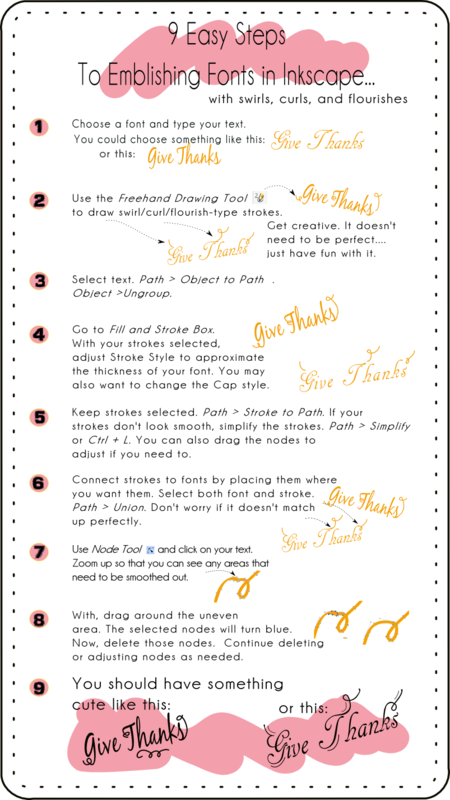 Here is an infograph showing how I use Inkscape to get the effects I want. If you follow these 9 easy steps you’ll end up with a font you can use for a multitude of purposes, but what I usually am looking for is a font I can cut out of vinyl and this method works great for me! I hope you enjoy my infograph. Please share with others and/or leave me a comment if you find it helpful.